Looking for some input on the heating levels in my gecko tank. Currently I'm using a 20g long tank (30x12x12). I have a UTH pad mounted under one end of my tank controlled by a thermostat probe mounted in the tank under the warm hide that keeps the ground temp between 89 and 91F constantly. The current ambient air temp on the warm side of my tank during the day is about 80F and the cool side is 68F when I use a 60w Daytime heat lamp, If I use the 100w daytime heat lamp bulb my ambient temps are 92F on the warm side and about 71F on the cool side. When my light cycles off in the evening I have a zoo med moonlite bulb (not a red lamp) that cycles on providing night heat that keeps the ambient air in the tank about 70-72F throughout the night. Neither of my day time or night time lamps emit UVB. Is the ambient air temp as critical as the UTH pad temp for my geckos belly, I would have to assume the warmer ambient air temps would be more like the natural temps in the wild based on where they are from. I'm new to having a gecko as a pet. We inherited the gecko from somebody who no longer wanted to take care of it and we want to give it the best possible care. 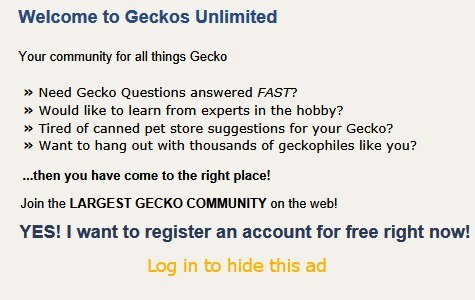 The gecko is maybe almost 1 1/2 years old. There is three hides in the tank, one on the cool side, one on the warm side over the UTH and a moist hide with some damp sphagnum moss in about the middle of the tank. The ground floor of the aquarium is a desert substrate mat cut to size. Any input would be greatly appreciated. Last edited by Matitude; 01-20-2019 at 04:54 PM. I don't have a leo, so will have to let others comment on your heat questions. But just wanted to say, what a cool-looking little dude! Congrats! And your tank looks awesome! your Temps sound good to me, he is so cute and I love your tank. In my opinion the floor temp is the most important. I do feel that ambient temps that are frequently in the 90's are too hot and it can dehydrate the gecko. I have two different wattage day bulbs, a 60 and 100w. When I use the 60w I get 80-81f on the warm side and 68-70 on the cool side. I was worried those temps might be to cool for the gecko. Sounds like i should stick with the 60w lamp rather then the 100w which has a hot side of about 90-92f. 68-70 ambient temperature should be fine in my opinion. The air inside the warm hide will be warmer since the heat from the floor is being trapped inside the hide, so if the gecko needs more warmth it can be in the warm hide.